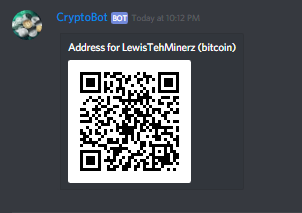 A cryptocurrency Discord chat bot.
. Here's an example: crypto address dogecoin DJhUipi4UJCcbMk5h91cZWtPrXdHyfygm7 This does do validation checks so that you can't put in a malformed address! 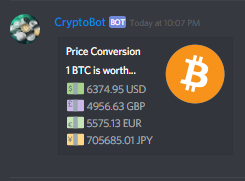 A vCurrency (CBC) is in CryptoBot, too. Run the command crypto v to get more details. 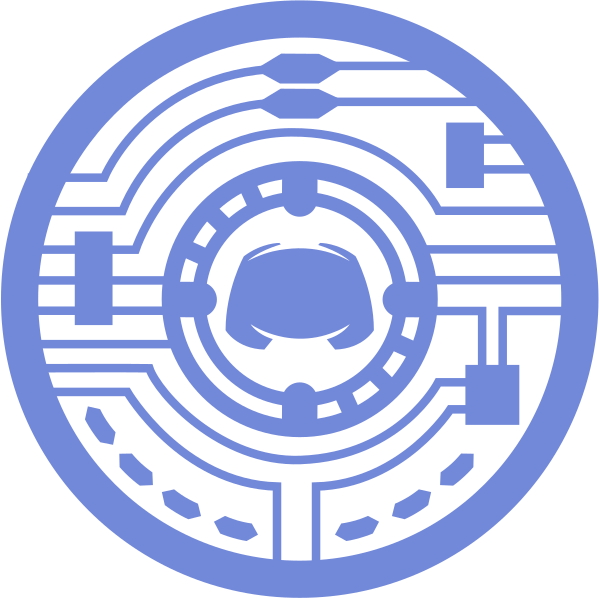 CryptoBot's profile picture and logo is Copyright © ZeroIdea Development and jmeel#2147.